As a board certified Music Therapist, I am constantly advocating for the field of Music Therapy. How do I do this? Well, music therapy advocacy happens in many ways. I define music therapy on a daily basis for many different types of people from a variety of occupations. I allow people to observe music therapy sessions, so that they can experience first hand the power of music therapy. When it's re-certification time to keep my MT-BC status, I share with others the great variety of skills and information that we are required to know, in order to pass the music therapy board exam. One of the most interesting things about advocacy is that anyone can do it. You can have a loud or a quiet personality. You can have a lot or little to no experience with public speaking. Advocacy happens anytime you tell someone about music therapy and share some of your experiences in the field. Advocacy happens when you share your stories. Dr.Dena Register, a Board Certified Music Therapist. Part of being a music therapist is sharing your stories—incredible stories—of the triumphs, both great and small, that you encounter every day. We often have the opportunity to witness the absolute best in the human condition, from the new parents who are learning to adapt and support their pre-mature infant to the family who is grappling with a hospice diagnosis of a loved one. It is not unusual to hear (or say) the phrase “power of music” in our work with patients or clients of any age or ability-level. I’m not sure that we teach storytelling, per se, as part of the music therapy curriculum, but perhaps we should. It is often the masterful account of how we choose, use and manipulate musical elements to get these “amazing” results that catches the eye of a potential funding source, employer or legislator. We are constant advocates for our clients or patients and our profession with every story that we share. To that end, I’d like to share a story with you about the power of telling the “right” story, to the “right” group of individuals in just the “right” manner. In late September 2008, I received a phone call from a member of the Oklahoma State Task Force. It was a Wednesday afternoon of a very busy week that seemed as though it ought to be Friday. There was mild panic intermingled with genuine excitement on the other end of the line. Through several interesting twists, one of the task force members was introduced to and befriended a former State Senator who was a huge advocate for children’s services in the state, particularly for young children with special needs. He happened to be visiting the new RISE school in Stillwater, Oklahoma on a day that Robbin Buford, a board-certified music therapist, was providing services to one of the groups there. 2. that state job descriptions were updated to require the MT-BC credential and provide quality services to patients and clients in the state. Ed Long had arranged for several lawmakers who were currently in office, as well as some agency directors, to come to the RISE school the following Monday morning. He wanted the guests to have the opportunity to see Robbin in action and to have some time to discuss music therapy and the implications for the state over lunch following her session. Robbin was calling me to see if there was any way to have regional and/or national representatives from the American Music Therapy Association (AMTA), and the Certification Board for Music Therapists (CBMT)present at the meeting to help field questions and talk about other clinical areas where music therapists provide services. Needless to say, this was an opportunity that we just couldn’t miss! With the help of the other members of the task force and Judy Simpson, AMTA’s Director of Government Relations, we were able to pull together packets of materials and a brief presentation following Robbin’s session. I left Lawrence, Kansas on Sunday evening to drive most of the way to Stillwater for the Monday morning meeting. We all arrived an hour before the session to set up materials and prepare ourselves to meet and greet as people arrived to observe the group of eight children in the early intervention classroom. There were four children in the group with various special needs, including Down syndrome and autism. As our guests arrived most were congenial and found a place in the observation booth or at the classroom entrance to watch the session. One gentleman in particular came in, introduced himself, shook hands and maintained a closed body posture with his arms folded across his chest. He went to the observation point that was the farthest away from the group and stood in the background. As the session began, you could see the increased interest in what was occurring during the music therapy session. Body tensions subsided, people moved to a closer location to get a better view of what was happening and they began to ask questions about what was going on in the session. The children, as always, did a fantastic job attending and engaging in a variety of musical processes that worked on skills across all developmental domains. This was true throughout the session, all the way to the post-session clean up where several children sang while marching the materials down the hall to be put away. Our observers were all smiles and full of questions as we moved from the classroom space to the conference room. *Stay tuned to learn what happened after the music therapy session, as well as tips for how YOU can be—and already are—an advocate. Music Therapy is....wait....I have to explain this again?!?! This is the question I answer the most, and often daily. But, I always answer this question because I feel it is very important to educate other professionals, teachers and parents about what I do. As a music therapist, I've witnessed first hand the numerous ways in which music can reach a person and bring about therapeutic change over a period of time. How do I relate this to someone who is deciding whether or not to create a Music Therapy position in their facility? Will existing programs continue to value music therapy and its many therapeutic benefits? This week, I will be posting about a very important topic for music therapists and the field of Music Therapy itself: Advocacy. First of all, what is Advocacy? Advocacy is for anyone. Advocacy happens everywhere, any day of the week, any time you are engaging in a professional capacity. You can advocate at every level (e.g. from grassroots to state agencies and governors to national legislators). Any opportunity, any conversation is a way to advocate for the profession. Advocacy is a language. You need to know your audience and tailor your advocacy skills for that audience. It's just like tailoring your clinical skills for different clinical populations. And experience is the best teacher--having your audience experience music therapy first hand is very powerful. We all advocate for things everyday. Whether we convince a friend to try a dish at a restaurant, or encourage a friend to buy a certain brand of shoes because they feel so comfortable, we're advocating. We're informing, sharing, and relating our own experiences to others. We can also do this with Music Therapy! Don't forget to stop by tomorrow for another post on advocating for Music Therapy. It's Wednesday and it's time for another Wonderful Website! I stumbled upon today's Wonderful Website about a year and a half ago, while doing a search on Google. This site was exactly what I had been searching for: other professionals (Music Therapists, Music Educators, Teachers,etc.) who had a passion for sharing their talents, creativity and ideas to help children learn. The website is Listen and Learn. Rachel Rambach, a board-certified music therapist and singer/songwriter, is the owner and blog writer. One of her big goals is to help children learn and grow through music. I'd say she is well on her way! 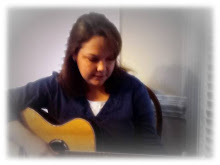 Rachel frequently shares songs, activities, and resources on her blog. Her songs cover cognitive, social, emotional, and physical concepts. She writes songs to just about EVERYTHING and they are available for purchase and download. Oh, and she also does custom song requests for anyone with specific topics and/or goals in mind. Rachel works full time at a school for children with multiple disabilities, in addition to managing her own private practice. I know you will enjoy checking out this wonderful website. If you've never been, scoot on over to Listen and Learn and see what you've been missing! You know when you read the title above, many of you will think of the tune we heard at the Winter Olympics last year. Well, that's exactly why I chose it! I wrote this song to assist several teachers teaching about Canada. Warning: it is a wee bit long! However, I hope you will find the quality (and quantity) good! I purposely came up with a chorus so that the students would have a designated part to sing (whether verbal or via a switch like a Big Mac, or other voice output device). For nonverbal students, I prepare the switch ahead of time and record the chorus on it. Of course, I created a power point to display visuals of everything the song talks about. I also imported the same pictures I found on google images for my power point into Boardmaker, and made picture cards and laminated them for the teachers to use as well. I really like to use the GoTalk 4 size for laminated picture cards because I work in several classrooms where the students have visual deficits. Today's wonderful website I wanted to share is particularly helpful for music therapists and guitar teachers also! This website is called Guitar for Beginners and Beyond, and it features a free online guitar tuner. I often recommend this site for students I have that are learning to play the guitar and want to learn how to tune their guitar by themselves. I really prefer students to learn to tune their strings without being solely dependent on an on-board tuner. I think students develop their sense of pitch earlier this way. With the help of this free online tuner, students can tune each string separately and learn to adjust their strings to match the pitches they hear on the computer. You can find this free online tuner here. As always, thanks so much for stopping by! Hope the rest of your week is a good one! It's cold here today and we're excited about seeing some snow later today and this evening! So, in honor of snow, I thought I would share this song about a snowman. This song is really about decorating/dressing a snowman. I use it a lot in classrooms when they are talking about Winter, snowmen, snow, etc.. This also helps the students review parts of the face, clothes, appropriate body parts for each piece of clothing,etc.. I wrote this song to the tune of the Oscar Mayer Weiner song. Have a listen below! Oh I wish I was a snowman, that is what I'd really to be. For if I were a snowman, two eyes on my face you'd see. Oh I wish I was a snowman, that is what I'd really like to be. For if I were a snowman, a nose on my face you'd see. For if I were a snowman, a mouth on my face you'd see. For if I were a snowman, a hat on my head you'd see. For if I were a snowman, a scarf around my neck you'd see. For if I were a snowman, mittens for my hands you'd see. For if I were a snowman, I'd like for you to play with me! I found a really neat visual for this song already made online. I printed out the picture, colored the clothing items and then laminated all the pieces and attached velcro to all. I made this into a file folder activity (for my convenience as well). The snowman goes on one inside portion of the folder, and the clothing items all go on the opposite inside folder. I also went one step further for my classes that are infused with technology and SMART boards,etc. and designed a snowman decorating template on power point. The student just drag the items to the appropriate places on the snowman. They really enjoy taking turns doing this! What are your favorite snow songs? Hi, and thanks for stopping by again! Today I want to share another super simple song that I recorded at the request of a teacher. This teacher normally sings the Days of the Week song, a capella, to the tune from "The Adam's Family" television show. I've also seen this song idea posted on numerous preschool music sites. The teacher thought it would be more catchy and motivating for the students if I recorded it with voice and guitar, and I agreed! Days of the Week, Days of the Week, Days of the Week. In my opinion, this song works well with children as long as it doesn't start out too fast. You can add numerous forms of body percussion after each phrase, "Days of the Week". Many teachers have the children clap two times to the beat (after each "Days of the Week"), but you could pat knees, pat head, click tongue, stomp feet,etc.. You could also use rhythm instruments and play during the beats. This will help keep the kids guessing and paying attention! To hear another song teaching the Days of the Week, click here. Every day I come across so many wonderful and useful websites! As a Music Therapist who strives to write songs to help students(Pre-K to High School), learn and grow in so many different ways, I often turn to the internet as one of my resources. 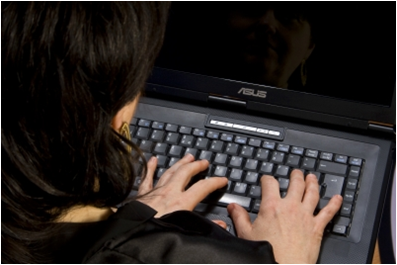 I use the internet to research songs topics, to verify factual information, to research developmentally appropriate practices, and to stay up-to-date on research and therapeutic interventions with various disability populations, and to network with other Music Therapists online. Starting this Wednesday, I will begin sharing what I call, "Wonderful Websites". I will share one or more websites that I have found to be wonderful in one way or another each week. I hope you'll stay tuned and feel free to comment and recommend additional websites that you feel are wonderful! It's the end of the first week back to school since our Winter break. I've had a good week, but I'm glad it's Friday! If you have worked with young children in any capacity (Music therapist, teacher, parent,sitter,etc. 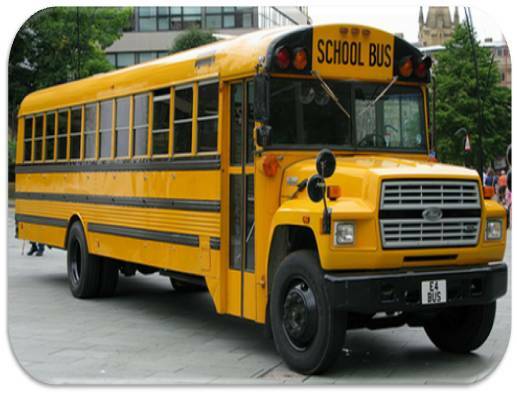 ), there is one song that almost ALL kids seem to know and respond to...the "Wheels on the Bus" song! When a teacher asked me to write a song to address Bus Safety, I thought it would help the students learn if I used the "Wheels on the Bus" tune, so that they would associate my lyrics with the school bus. Typical developing children as well as children with special needs need to learn the rules of riding a bus in order to stay safe. This song can be reviewed anytime throughout the school year, and especially after long breaks when rules need to be reviewed as reminders of appropriate behaviors. Of course, I made a visual to go along with this song. I laminated a picture of a yellow school bus along with boardmaker picture cards to represent each bus safety rule. I then attached each laminated boardmaker picture to a window of the bus with velcro. It was really cute! I will take a pic and post it soon! When we ride the bus. You can download this song for FREE by clicking on the word Download, located directly under the play button above.